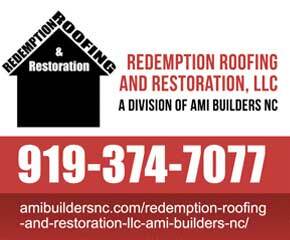 AMI BUILDERS NC PROVIDES ROOFING SERVICES IN THE RALEIGH, APEX, CARY, GARNER AND SURROUNDING AREAS. One of the largest home improvement contractors for home insulation, roof installation, roof repair services, new roof construction, roof vent installation,windows installation and repairs and siding installation. We offer professional roofing quotes to include services for residential customers. If your home is in the Raleigh area, AMI Builders NC has the best solutions to meet your roof repair, new roof construction, home siding, new windows, home insulation needs. Give our Raleigh Home Improvement Office a call at (919) 812-7282 for a FREE Home Inspection, Quote Estimate.